Beautiful Arthur River is surrounded by dense rainforest and named after the wild river that runs from the mountains to the sea. Arthur River is a popular base for exploring the Tarkine wilderness region, being Tasmania’s largest tract of temperate rainforest. 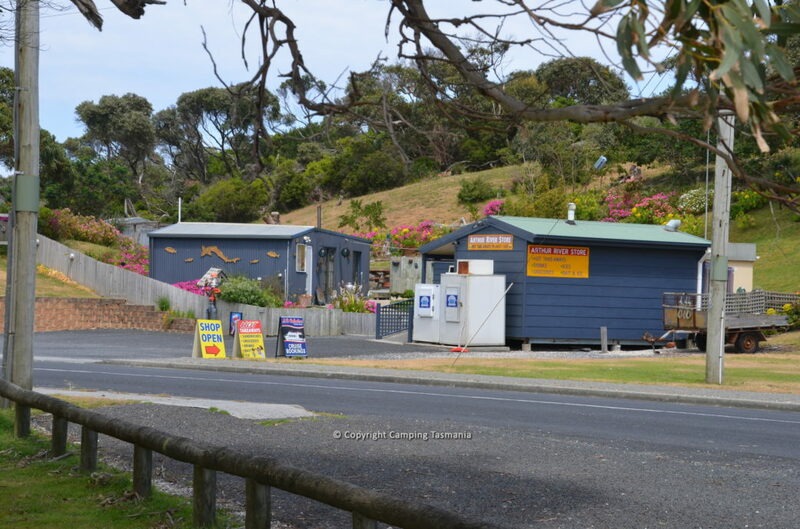 The small, but pretty, township of Arthur River is the northern entry to the Western Explorer road that leads from the coast to the beautiful Tarkine wilderness area Corinna. A popular activity is to take a cruise on the Arthur River where you may spot the white-bellied sea eagle and other magnificent bird life. On the coast near the mouth of the Arthur River is a plaque titled The Edge of the World, which is perhaps not far from the truth! The coastline is truly beautiful, but please note the weather can be very changeable and unpredictable as the winds of the Roaring Forties and ocean currents lash the coastline. Arthur River will take you app. a 2-hours drive if heading from Burnie when camping Tasmania. There are several great campsites in Arthur River, being: Manuka Campground – Peppermint Campground – Prickly Wattle Campground – Nelson Bay Campground. See also, camping Marrawah. Other things to do in the Tarkine area of Tasmania include visiting West Point Reserve, Bluff Hill Point, doing the Arthur River Coastal Walk, visiting the Edge Of the World, walking Sarah Anne Rocks and Couta Rocks, visiting Julius River, walking the Balfour Packhorse Track, taking in the views from Sumac Lookout, Dempster Plains, Tayatea Bridge and Kanunnah Bridge, walking at Lake Chisholm, exploring Rapid River and the Sinkhole and walking Trowutta Arch.